Cognitive psychology studies and analyses the mental processes. This includes how we think, remember, learn and perceive. Attention - Sometimes our cognitive processing systems get overloaded and we have to select information to process further. This deals with how and why performance improves with attention. Formation of concepts - This aspect studies human's ability to organize experiences into categories. Response to stimulus is determined by the relevant category and the knowledge associated with that particular category. Judgment and decision - This is the study of decision making. Any behavior, implicit or explicit, requires judgment and then a decision or choice. Language processing - This is the study of how language is acquired, comprehended and produced. It also focuses on the psychology of reading. This includes processing words, sentences, concepts, inferences and semantic assumptions. Learning - This is the study of new cognitive or conceptual information that is taken in and how that process occurs. It includes implicit learning that takes into account previous experience on performance. Memory - Studying human memory is a large part of cognitive psychology. It covers the process of acquiring, storing and retrieving memory, including facts, skills and capacity. Perception - This includes the senses and the processing of what we sense. This also includes what we sense and how it interacts with what we already know. Problem solving - Solving problems is a way that humans achieve goals. Achieving goals - Moving to a goal can include different kinds of reasoning, perception, memory, attention and other brain functions. Reasoning - This is the process of formulating logical arguments. It involves making deductions and inferences and why some people value certain deductions over others. This can be affected by educated intuitive guesses, fallacies or stereotypes. Moral development - This includes how moral dilemmas change your moral reasoning in the stages of moral development. Eyewitness testimony - Study of how a witness's testimony is affected by stress, focusing on a weapon, or leading questions. Forgetting - This area covers long and short term memory. Selective attention - Humans have limited capacity for paying attention so this studies the selection of what deserves our attention. Perception - This covers the processing of sensual inputs and how the brain turns them into sensual perceptions. Child development - This deals with the process of cognitive processes as we grow. Cognitive behavioral therapy - This uses the fact that thought patterns can affect behavior and tries to help people with mental health problems. Learning styles - This investigates the different ways in which people learn. Information processing - Compares humans to computers in the way we process information. Cognitive interview - This is way of asking questions that help an eye witness remember better. 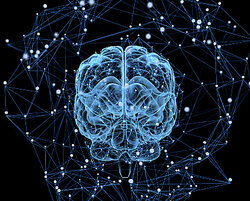 Education - Cognitive psychology can help with more effective learning techniques. Face Recognition - An example of this is the fact that we still recognize a friend's face even if one aspect of it changes, like a hair cut. These different examples of cognitive psychology are a great way to better understand this field. "Examples of Cognitive Psychology." YourDictionary, n.d. Web. 23 April 2019. <https://examples.yourdictionary.com/examples-of-cognitive-psychology.html>. Examples of MnemonicsExamples of Observational LearningExamples of Semantic MemoryZone of Proximal Development ExamplesWhat Is Gaslighting?